While there are countless examples of bestsellers with covers so simple one might think it was an afterthought, I can think of very few examples of bestsellers with overly busy book covers. Here, I must make a distinction between print covers and ebook covers. They are different but the design elements remain the same. The only thing is that, with an ebook, simplicity is more important because the potential buyer is usually looking at the cover as a small thumbnail photo. 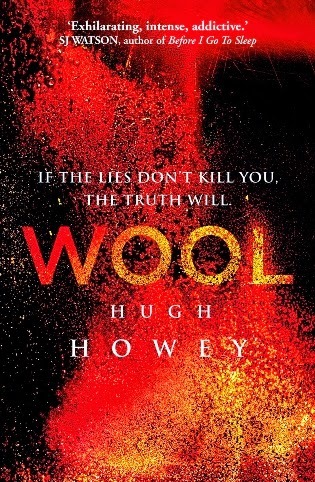 Notice the simplicity of this Hugh Howey novel? I'm not even sure what that picture is. Could it be a face. Hugh Howey, as an independent author, hit the nail on the head with simplicity. Now, take a look at this cover as if you were seeing it on your favorite bookstore, whether that be online or brick and mortar. What do see that might make you look inside or hit the "purchase now" button? Of course, there's the title, the picture, the endorsement of how wonderful this book is by someone you may not know up there at the top, but then there's something else. Oh yeah, that's it-the tagline! I know the adage that a picture is worth a thousand words but, in the case of book covers, I believe a short tagline is worth a new buyer of your book. When a person looks at the cover at the bookstore or online, they will naturally read the tagline. See what you just did there? You might have just sold a book. The most important thing a tagline can do is get someone reading your book before they've even opened it up. In the case of the book shown above, the cover does not really do a great job of explaining what the story is all about. Sure, the use of color is great but that tagline, now that's intriguing. A good tagline should be short, express the tone/mood of the story, and put a question into the potential reader's mind. I consider taglines to be a kind of secret weapon. While some covers don't lend themselves well to taglines, one should use this if they have the option. By bold I don't mean "in you face" rainbows and sparkles. Simple is bold. Limit your color scheme to meet the tone of your story. Dark colors convey darkness, Light colors convey boldness, White conveys simplicity and forces the eyes to whatever other graphics shown on the cover. In this example, notice how your eyes are drawn to the picture more than anything else? Even the title is understated. 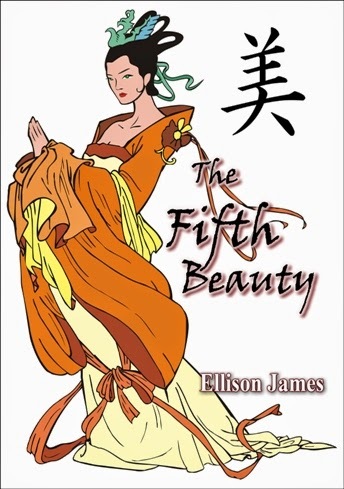 The symbol on the upper right is the Chinese symbol for beauty, but who would know that? It just looks like part of the picture. Above is an example of a cover I recently completed that shows a simplicity of color with a complex picture. I actually applied a shading graphic in this to tone down the colors and make it darker. The brightest spot shows the single character walking toward a maze. Since this novel did not have a tagline, I used the picture to set up the question, "Where's that person going? Why is he walking into a maze?" Sure, I'm still unsure about all the blank space in the middle but thought that if the eye was drawn to that (for the ebook version) it would show a sense of solitude. Funny thing is that, in the story, the character does not go through the labyrinth alone but I felt this picture set the tone or mood. The story is really about recovering the stolen sword shown on the back cover but you'll just have to buy the book to find out more about that. One more thing that applies specifically to ebooks-they must look good/be readable in thumbnail size. Many authors and even cover designers forget this and, whether they admit it or not, it may hurt sales of the story. If a person is scrolling down the list of books on their favorite online bookstore, they simply will not be prompted to click on that picture if it looks like a jumbled mess. Of course, other elements come into play here too. Things like a catchy title, author name recognition, series books, and many others. I just wanted to keep it as simple as possible for those do-it-yourselfers out there. Also, these simple rules still apply if you are having someone else design your cover for you. Do not be afraid to demand your cover meet these requirements. Remember, it's your hard-earned money you're spending on this cover and the story is your baby. Don't let the story that you worked on so hard become a neglected foster child because of a lackluster cover. My hope is that this post provides hope and comfort to all those cheap bastards like me out there. I never really considered taglines, but they definitely draw you in if done right. I know what you mean. I know it seems taglines would be something I consider in the top three to put on a book cover but I've done some research (unbiased, amateur, but thorough) and found that the majority of top-selling books (ebooks especially) have a short tagline that explains the overall concept of the book. Not all stories lend themselves to the use of a tagline but it is something I will also strongly consider for my future book covers. I wrote a novel under a pen name and, although my cover was not great, I used the tagline "Her love is... to die for." 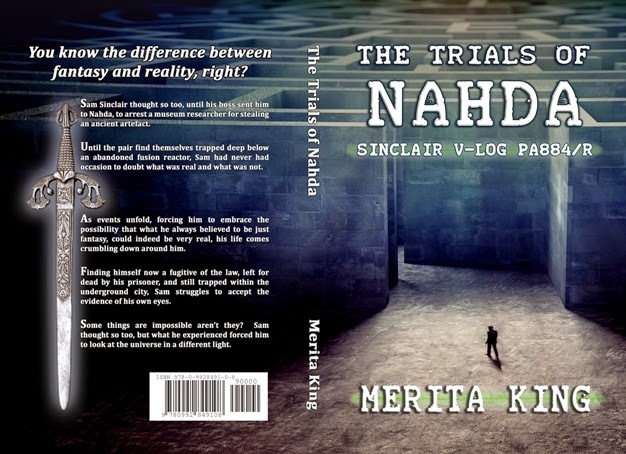 I believe that tagline help sell more books, especially since I was/still am a complete unknown as an author.